On Wednesday night, under the cavernous dome of Cipriani’s ballroom in New York, women dominated the National Book Awards. As noted by host Cynthia Nixon, 15 out of the 20 finalists this year were women. The sole man who won was Frank Bidart—a three-time Pulitzer Prize finalist—whose collection Half-Light: Collected Poems 1965-2016 is, as Hilton Als wrote in The New Yorker, “a poetic ur-text about how homophobia, doubt, and a parent’s confusing love can shape a gay child.” But across the fiction, non-fiction, and young people’s categories, women cleaned up. During Robin Benway’s acceptance speech for her win in the Young People’s Literature category (for her book Far From the Tree), she thanked her grandmother for teaching her a valuable lesson about creativity. It’s not that “bolt of lightning,” she said, nor is it inspiration. “It’s about getting up and making the coffee and getting to work to find the room that the lightning lit up for them at that one moment.” Her book deals with adoption and the meaning of family; in it, an adopted teen searches for her biological family and interrogates what it even means to be related to someone by blood or by circumstance or both. 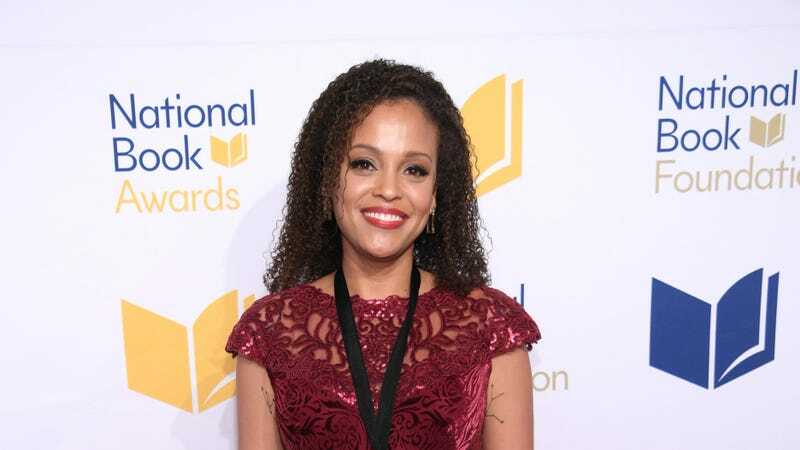 Her novel is an odyssey: Jojo, a 13-year-old biracial boy, and his mother Leonie, a black woman, take a trip to see Jojo’s father, a white man named Michael, as he is released from prison. It’s a story about their family and the ghosts that haunt them—a narrative with larger themes that are universal, despite the specificity of the subject matter.